My art courses make a wonderful gift for Birthdays, Wedding anniversaries, Christmas, Mother or Father’s day, New Year resolutions or simply to say Thank you, if you are sure the recipient will love to receive it. 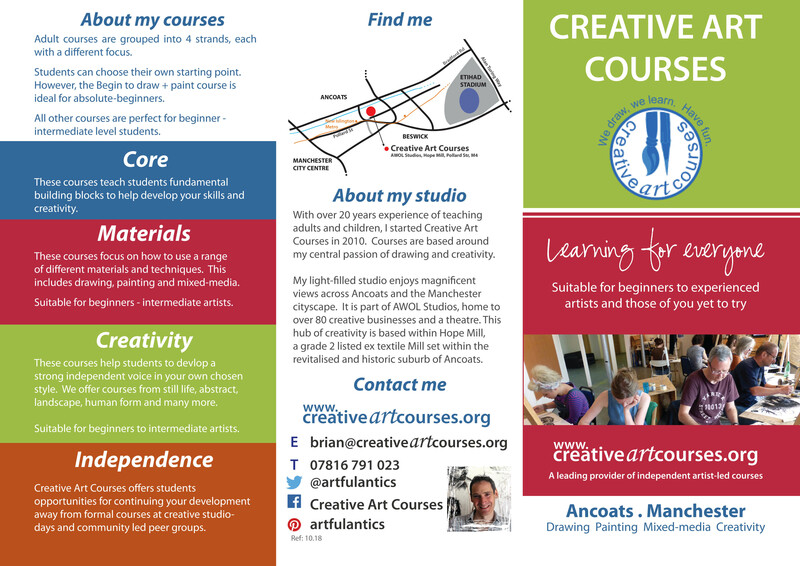 If you are thinking of buying a course as a gift please print the leaflet to give to your chosen recipient and ask them to select a course of their choice before making a purchase. Please be aware that there are a number of new courses that are not listed on the leaflet. I do not recommend purchasing a course as a surprise gift. Please read the T+C’s before purchasing a course as a gift, particularly the 14 day ‘change of mind period’. Full details are clearly and simply written within the T+C’s available to read here. Unfortunately, I don’t currently offer gift vouchers. I want to purchase a course for my husband on either s Saturday or Sunday in 2019. We began a beginners art course two years ago .He has developed a real passion for drawing and particular the human form .I wondered if you ran any courses that I could purchase him a place on as a Christmas present ? Good to hear from you about your husbands passion for his art. I offer many different weekend and weekday courses that he would enjoy and learn lots. Please follow these 2 links to my website and browse the different course options. If you have nay specific questions about any of the course please feel free to email or call. I’m always happy to help.